TEDxDelft 2013 opened to an audience of 1,100 visitors. Crowds began gathering at 8am despite the wet and cold morning. The day began with a pre-recorded message by Chris Anderson, curator TED, who spoke about the concept of TEDx and bringing ideas alive around the world. Rob Speekenbrink, the founder of TEDxDelft, welcomed the audience with a promise that they’re “in for a ride”. Speekenbrink, who founded TEDxDelft in 2011, called the event one of the most “biggest” TEDx events around the world. “Delft is such a hub of scientific thought that it’s really an important venue for a gathering of thinkers and scientists such as this one,” he told us earlier. The host for the day, Dutch actor and presenter Sipke Jan Bousema, started on a humorous note (and a loud applause). “An important lesson about life that I learned is that you have to ‘pass it on’. But, only once you’ve experienced it and learnt everything it has to teach you. The speakers we have here today have done so, and they are ready to impart their message,” said Jan Bousema. The theme for this year’s event is Do Try This At Home and is meant to encourage people to try new ideas at home. Unlike other events, the disclaimer announced before the start of the event wasn’t to turn off cell phones, but to turn them on. Though members of the audience aren’t allowed to photograph the speakers, they are encouraged to Tweet and Facebook about the event. So, if you’re one of the lucky ones inside, please do so. 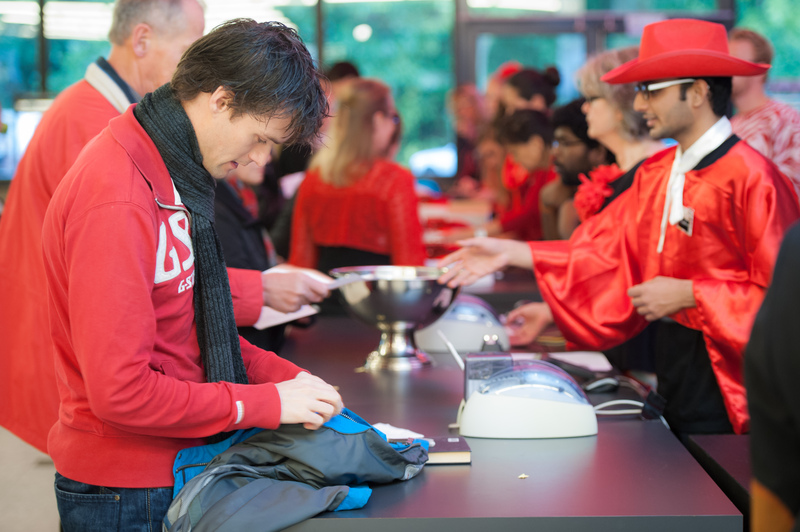 And, remember to use the hashtag for the day: #TEDxDelft. 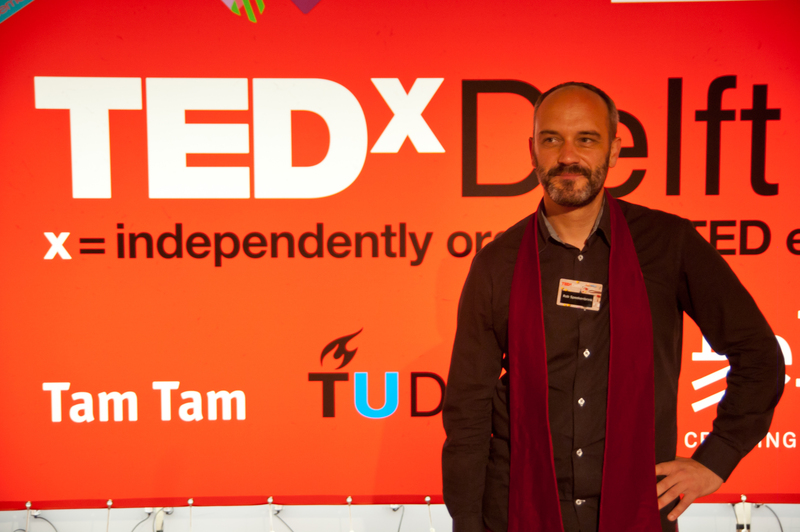 Follow us on Twitter @TEDxDelft for updates!